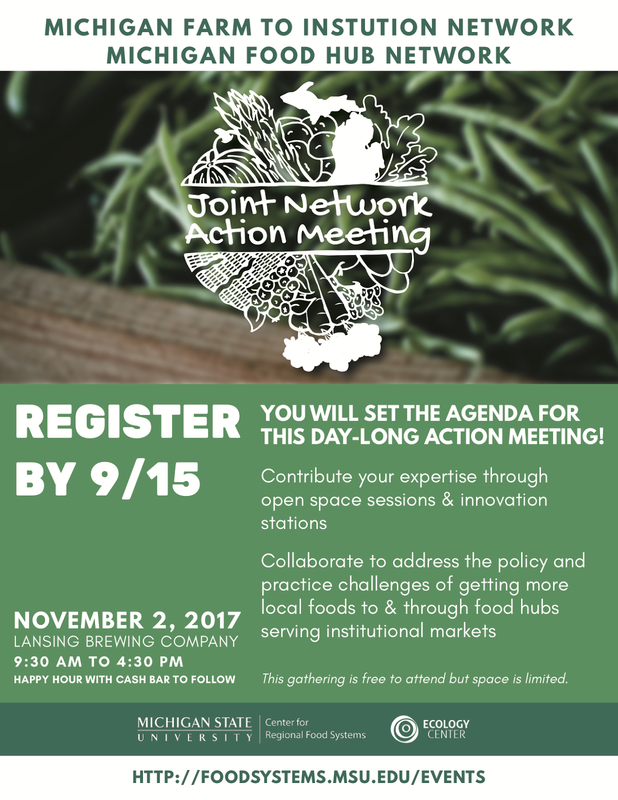 Registration is open for the Michigan Farm to Institution Network (MFIN) and the Michigan Food Hub Network's Joint Network Action Meeting on Thursday, November 2, 2017 in Lansing, MI. The agenda for this day-long action meeting will be set by you, the attendees! 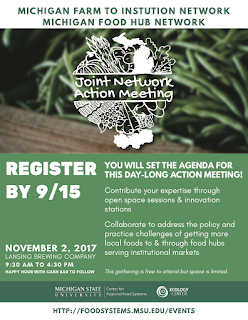 Through open space sessions and innovation stations, you can contribute your expertise to help identify and initiate steps to address the policy and practice challenges of getting more local foods to and through food hubs to serve institutional markets. Please see flyers attached, and help spread the word. Click here to register by September 15th. This event is free to attend but space is limited. 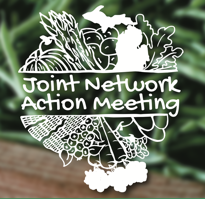 The meeting will be held at the Lansing Brewing Company from 9:30 am – 4:30 pm, with a cash bar happy hour to follow.